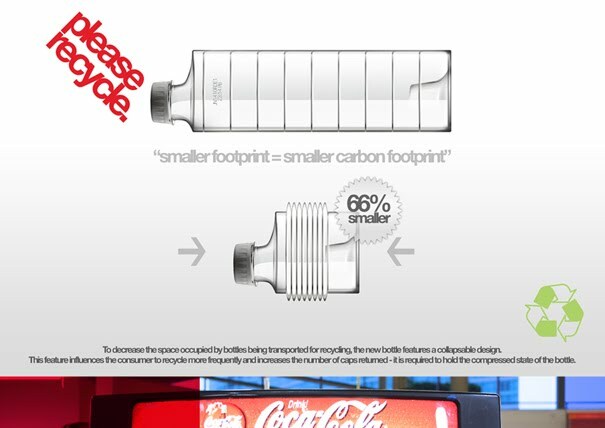 "Designed by Andrew Kim, the Eco Coke Concept is made of 100% organic material (sugar cane byproducts to be more specific). 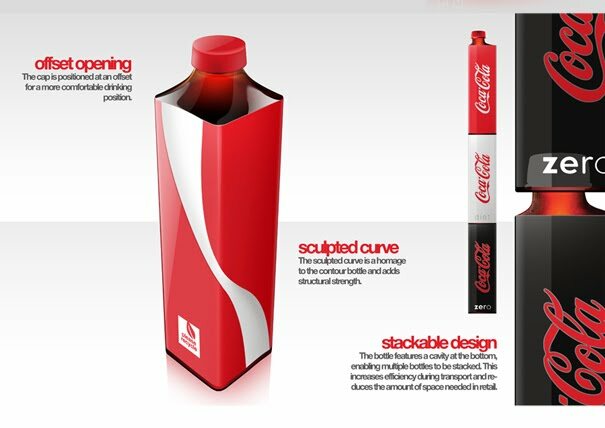 One big feature about this design is that it is much more collapsable, making it more condusive to carrying to a recycling bin. Hopefully we’ll see this in the market sooner than later." 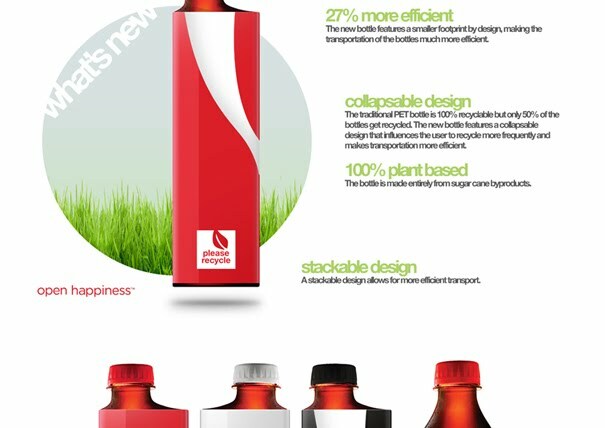 Far out... new Eco Coke packaging - slimmer and more eco friendly! Very well done, but it'll never happen. 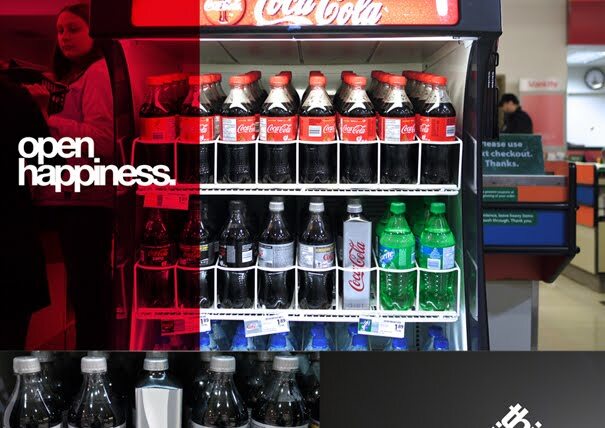 There's a reason Coke has a trademark on the shape of it's bottle. It's a huge part of their marketing and brand identity. 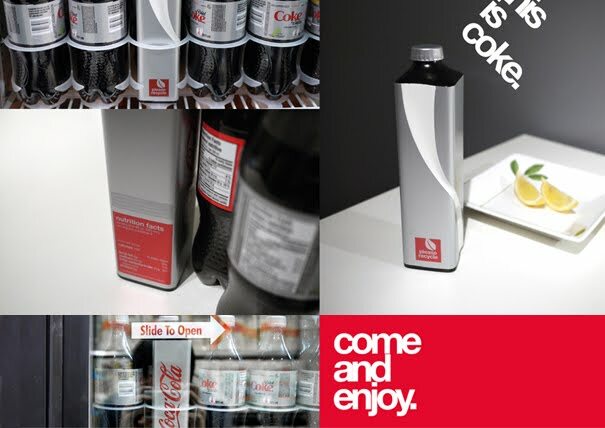 If this caught on all bottle would looks exactly the same, which is the opposite of what Coke wants. 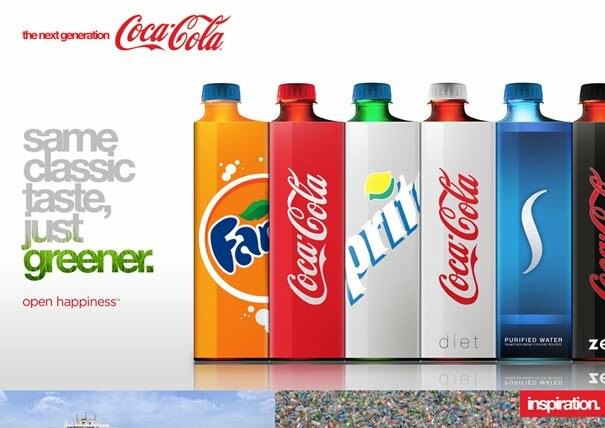 @Tony: What you say is true, but there's is always something a company will do to leap ahead of their competitors and you never know, this might be something Coke would give up to recreate a 'better' image of themselves. There has been crazier things companies have done to advance themselves. This is a good idea. Well. It's a good idea for 250BC. The main issue with this kind of ideas is that it is "practical". People are idiots who don't buy practical things (for example: It escapes rational belief that in a pub people buy bottles of beer as opposed to pints --> approx same price, half the volume and insanely more waste). This does quite a good job of bridging this gap, and I applaud the designers attempts at doing so. Good luck with it. Doesn't look very easy to hold. corners wouldn't work, its a carbonated beverage the pressure in the bottle would make the corners pop or at least bow out into a circle. anyone ever think that they make bottles round for a reason? its not very green to make the entire side of the bottle a label, the ink alone makes this idea foolish, let alone all the wasted paper. Very innovative design. I wish that design is going to be real. 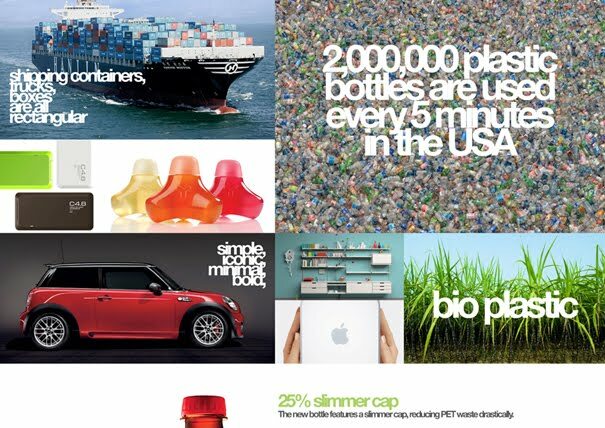 I want to help save our planet. I think this is one simple step to do that. I like to drink coke , but i have old question no one reply me .. What is mean of coca cola? 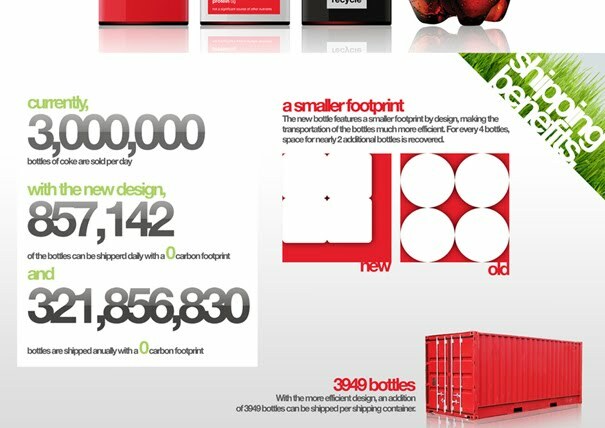 ya dear it's a very impressive post, i think the packaging designer effort is very nice and creative designing. It's awesome.